Now Chávez is going to swallow his own paquetazo. 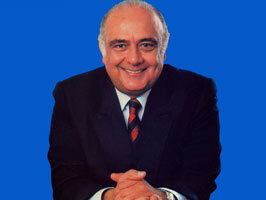 How would Venezuela be different if the constitution had allowed Jaime Lusinchi to be re-elected president in 1988? If instead of leaving a new administration without a penny in reserves, forcing a new team to own the arithmetically unavoidable, socially explosive adjustment, the old adeco nomenklatura had had to face the music? What if it’d been Manuel Azpúrua going cap-in-hand to the IMF for a rescue package? Matos Azocar negotiating gas price rises with the bus-driver unions? José Angel Ciliberto ordering the army to put down riots? What lessons would our body politic have learned, collectively, that it didn’t learn because this didn’t happen? How would our collective memory be different? What if what had passed into conventional wisdom was the memory of the same government that made the crash inevitable then having to pick up the pieces?